As July 4th approaches, I’ve been on the hunt for good, inexpensive wines to bring to a BBQ. With an eye towards Zinfandels, since they always pair nicely with hot dogs and hamburgers, I let myself be swayed into buying the Wily Jack Zinfandel because of the label. 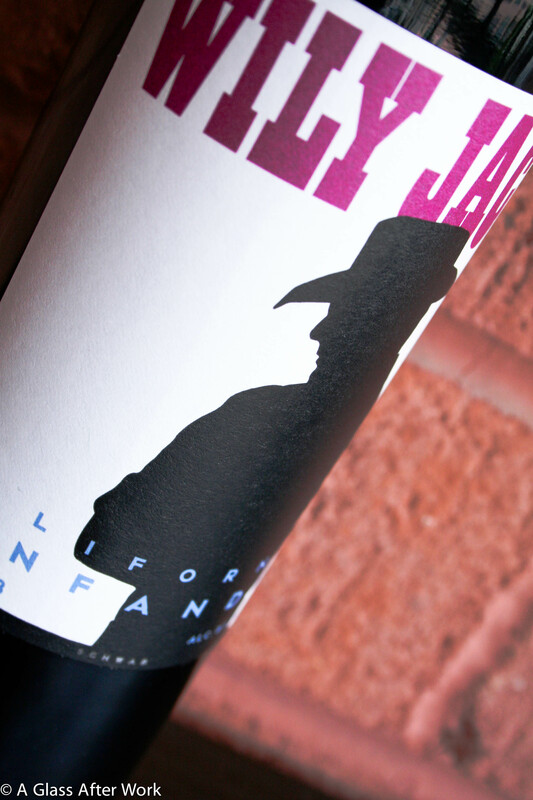 How much more all-American can you get than bringing a California wine with a cowboy on the label to a July 4th party. Knowing that I didn’t buy the wine in the most informed way, I’d put off tasting it for fear of it not being good. With the holiday rapidly approaching, though, I finally caved last week. On Tuesday, I came home from a busy day at work, hit the treadmill for a quick 3.5 mile run, and then opened the wine before sitting down to dinner with Hubby. The 2008 Wily Jack Zinfandel (winery, snooth) was a deep ruby. On the nose, there were blackberries, plums, and all-spice mixed with cedar and alcohol. In the mouth, there was mostly cooking spices and alcohol with a hint of blackberries, plums, and vanilla. The wine had a medium body, high alcohol, and medium-to-high acidity. Is this worth a glass after work? Eh…if you have a bottle on hand, drink it, but I wouldn’t go searching it out either. Even at $9, this wine doesn’t offer much. It benefited from being paired with food, but the acidity and the alcohol overpowered the other characteristics of the wine. In general, it tasted more like drinking cough syrup than anything else. The wine is definitely inexpensive, but in this case, I think you’re getting what you pay for. Question of the Day: Do you ever buy wine solely based on the label? Are there fun label wines that you enjoy?